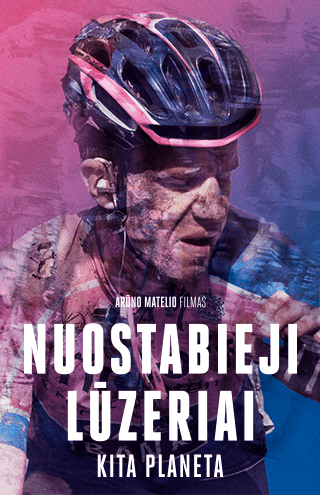 The confusing colors of the Vuelta. 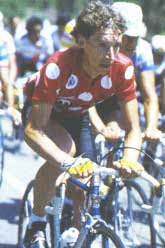 Robert Millar wearing the mountain jersey back in 1986 Vuelta. The only Tour he never claimed the KOM's. Mountain 'coffee bean' jersey sponsored by Cafe du Columbia, 1989. Ever wonder what the different jerseys of the Vuelta are? I have, just because I knew very little of it. 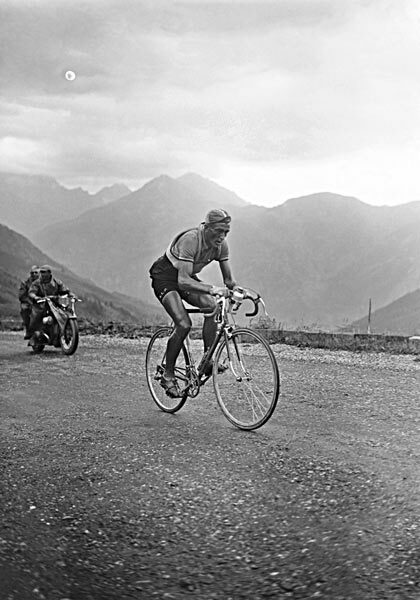 The Tour & Giro often take precedent in terms of their importance. And because of it, I''ve always held a fascination for this race. The Vuelta a España marks the final Grand Tour of the season and I'm going to 'attempt' to shed some light on the classification jersey's. Since it's debut, back in 1935, the 'Jersey de Oro(gold jersey) symbolizes the overall leader. And now the confusion begins. The other jersey's have changed off and on with the passing of the years and I don't know why. The sprinter's jersey is called, 'Jersey Rojo(red) for that race's best sprinter. From 2004-2006, was one of my favorite jersey's, a blue jersey with yellow fish! 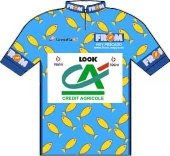 At the time, this wonderful jersey was sponsored by Spain's fishing and marine industry. Refreshing yet different. The mountain jersey was the iconic polka-dots but reverse with white dots on red. However, it changed again, in 2004 as the best grimpeur wore a solid red jersey. Last year's mountain jersey was a boring off shade of grey. 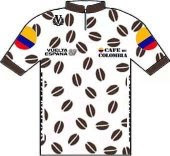 Interestingly, previous mountain jersey's was the cool Cafe du Columbia sponsored; brown coffee beans on white. Making one crave a nice double shot espresso! Other specialty jersey's are the neo-pro with it's various incarnations: dark blue, light blue, blue polka-dot on white jersey and even pink? How about the best all-rounder classification depicting a white jersey like the Best Young Rider at the Tour de France? The sprinter's fish jersey from 2004-2006. 2006 winner; Thor Hushovd. Confused? I still am. One can be certain, the Jersey de Oro remains the same as the other jersey's will change. 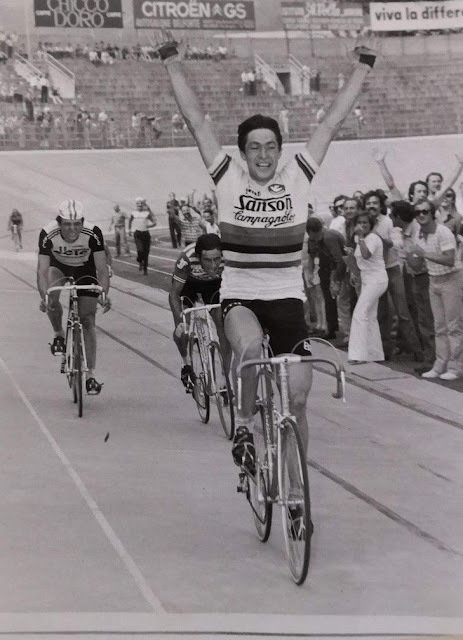 And that's why the Vuelta fascinates me, it remains the same while never the same year after year.